Comedy Develops on the Farm Sunday Night. 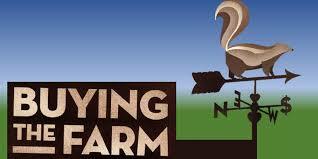 The Flin Flon Arts Council presents the Royal Manitoba Theatre Centers Buying the Farm Sunday. The Arts Council’s Crystal Kolt says it’s a comedy about what happens when things go wrong on the family farm. She explains it’s a comedy essentially about an older uncle that has farm property and his great niece who is this whipper snapper who is living with him and the story evolves from there. She adds it’s performed by the wonderful Royal Manitoba Theatre Centre with all the bells and whistles so it’s always the gem of their season to have them come up. Buying the Farm will be performed Sunday night at 7:30 in the Flin Flon Community Hall with tickets available at Northern Rainbows End on Main Street.